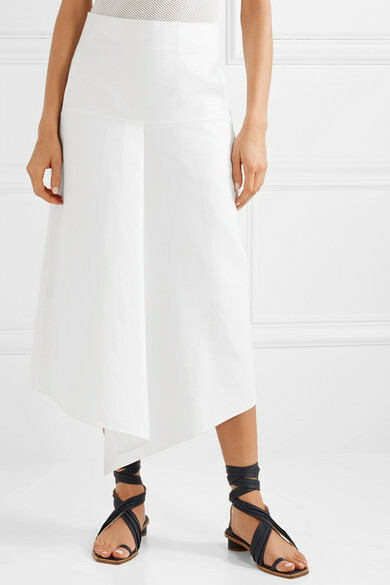 Tibi's Amy Smilovic told us that her favorite pieces are those that have clean lines and a relaxed feel. 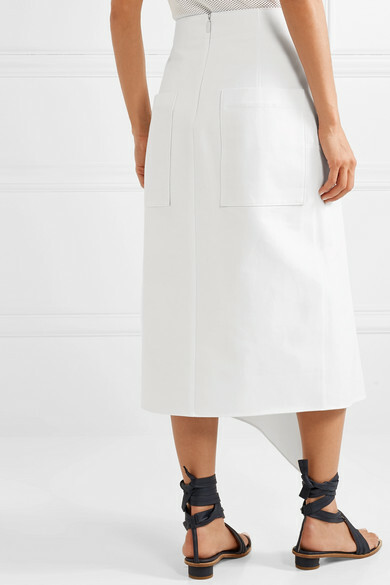 Ticking both those boxes, this compact cotton skirt has a single crease through the front and oversized patch pockets at the back. 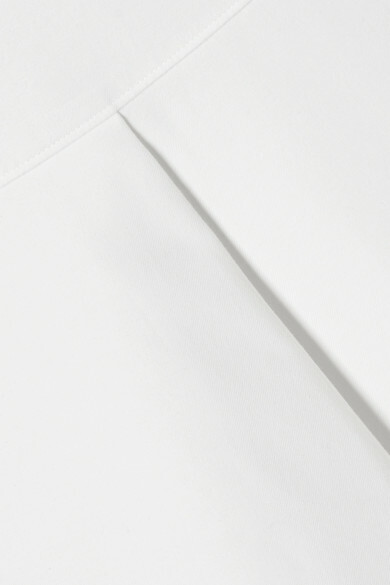 Balance the slightly voluminous shape with the label's bodysuit. 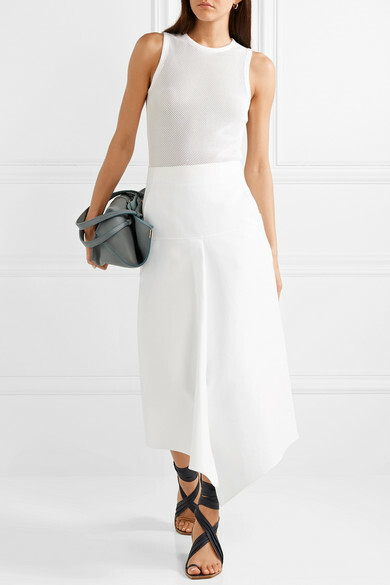 Shown here with: Chloé Tote, Tibi Sandals, Sophie Buhai Earrings.